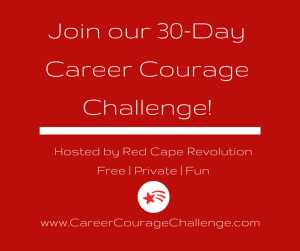 Welcome to the Career Courage Challenge! We’re rocking and rolling with our June Career Courage Challenge! Are you with us? SIGN UP HERE TO GET EACH DAY’S CHALLENGE IN YOUR INBOX.